The 21st-century political landscape has been defined by deep ideological polarization, and as a result scientific inquiry into the psychological mechanisms underlying this divide has taken on increased relevance. The topic is by no means new to social psychology. Classic literature on intergroup conflict shows how pervasive and intractable these group conflicts can be, how readily they can emerge from even minimal group identities, and the hedonic rewards reaped from adopting an "us vs. them" perspective. Indeed, this literature paints a bleak picture for the efficacy of any interventions geared toward reducing intergroup discord. But advances in the psychology of moral judgments and behavior, in particular greater understanding of how moral concerns might inform the creation and stability of political identities, offer new ways forward in understanding partisan divides. 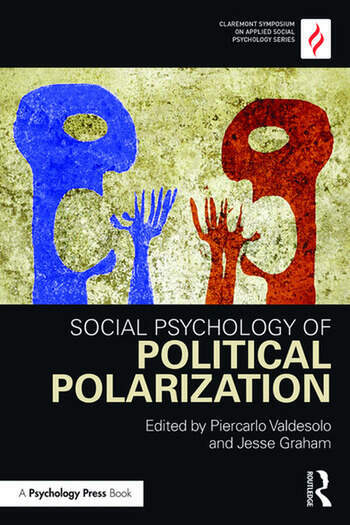 This volume brings together leading researchers in moral and political psychology, offering new perspectives on the moral roots of political ideology, and exciting new opportunities for the development of more effective applied interventions. Bridging Ideological Divides, Piercarlo Valdesolo & Jesse Graham. Understanding Ideological Differences in Explanations for Social Problems, Linda Skitka. Ideological Differences in the Expanse of the Moral Circle, Adam Waytz. Moral Coherence and Political Conflict, Peter H. Ditto. Restraining Selfishness or Enabling Altruism: Moral Motives and Political Ideology, Ronnie Janoff-Bulman. The Left-Right Landscape Over Time: The View from a Western-European Multi-party Democracy, Hulda Thórisdóttir. Liberals and Conservatives Are (Geographically) Dividing, Matt Motyl. How We Think Affects What We Think: The Effects of Construal Level on Political Polarization Between Liberals and Conservatives, Jaime Napier. How Social Psychological Errors and Biases Consistently Distort "Received Wisdom" in Ways that Bolster a Liberal Worldview, Lee Jussim. Why We Should Care About Ideological Diversity in Social Psychology,Yoel Inbar. Piercarlo Valdesolo is Assistant Professor at Claremont McKenna College, California. Using methodology from social and cognitive psychology, his research focuses on how our emotional states -- such as compassion, awe, and gratitude -- affect our decisions and behaviors with regard to trust, cooperation, blame, and punishment. Jesse Graham is Assistant Professor of Psychology at the University of Southern California Dornsife. His research is centered on morality and ethics, ideology, values, political psychology, implicit attitudes, religion, culture, and social justice.